Imagine a scenario where a regulation that will have a major impact on your business is proposed, but you didn’t know about it until the comment period had already begun. Your team rushes to organize a well-researched comment, build a coalition of organizations that can also comment, and launch a grassroots campaign for your advocates to comment. But because of the delay, your work isn’t up to par and the regulation moves forward, leaving your organization struggling to comply. Selecting the best search terms for your regulatory tracking is key to saving time and ensuring nothing slips through the cracks. You need terms that are neither too broad that you are following regulations that aren’t relevant to your organization nor too narrow that you miss important proposed rules. But how do you know if your search term is too vague or too narrow? 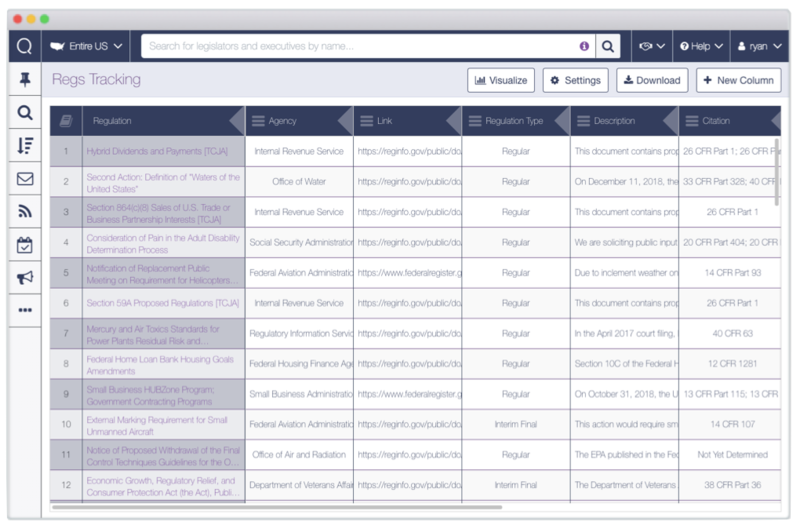 With Quorum, you can “analyze” a search term before adding to your regulatory tracking dashboard, showing how many regulations fit that term in the previous year. Use this number to gauge the quality of your search term—does the term bring up 500, 1000, or more regulations proposed in the previous year? This is likely too many for your team to track, and you’ll want to narrow your term. In this case, a feature like Quorum’s boolean operators can help narrow your search terms to ensure you are pulling in only relevant regulations. To keep your regulatory tracking organized, it’s critical that each member of your team follows the same protocol when alerted to a new regulation to track. What do you need to know about each regulation that fits one of your search terms? For many organizations, the team member tracking a regulation must determine the issue area that regulation falls under, the organization stance, and the priority level of that particular proposed rule. Some choose to go a step further and have the person tracking the regulation compose a summary of the regulation and why it is important to the organization. Whatever requirements you set for your team as they are tracking regulations, make sure everyone understands that protocol so that you are giving each regulation equal consideration. With consistency across tracking, you can make the best decisions on how to allocate time and resources. 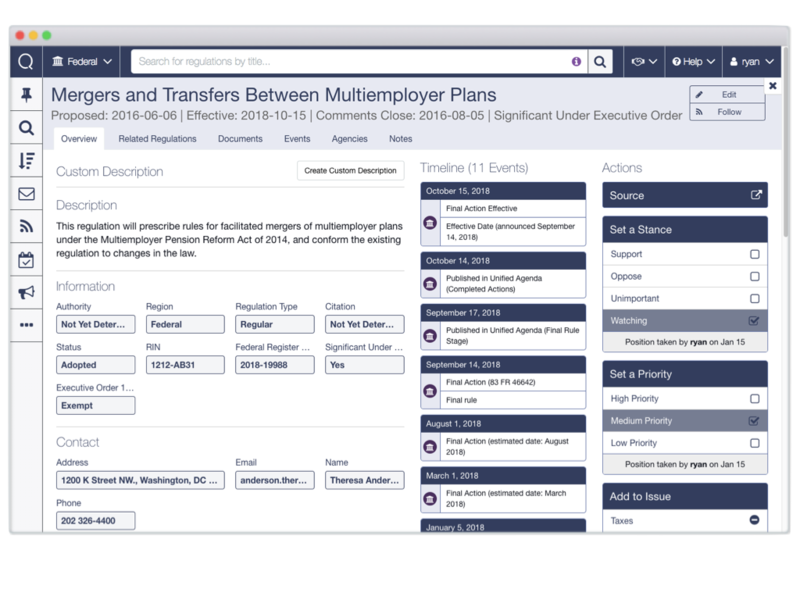 At Quorum, we call them Regulatory Tracking Dashboards, but some use spreadsheets as well as the central repository where you organize the regulations your organization cares about. Your dashboard will be a central location to see every regulation your organization is working on, with the ability to filter or sort by issue, priority, and stance. While tools like Quorum are auto-updating, if you’re working from Excel or Google Sheets, be sure to set a time each week to update your spreadsheet with new statuses, actions, or stances. Regulations don’t exist in a vacuum, rather they are informed by legislation and activity by the federal and legislative branches of government. 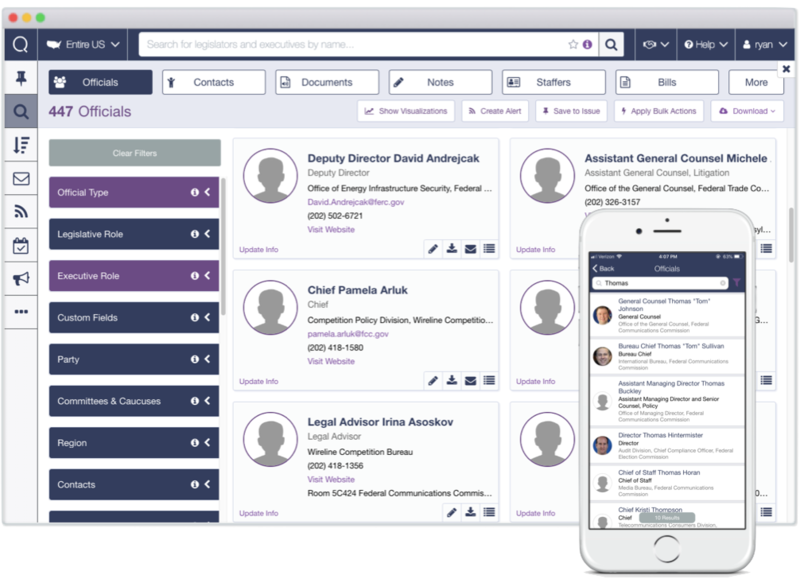 With an integrated tool like Quorum, your team can follow an issue through all stages of the policymaking process. 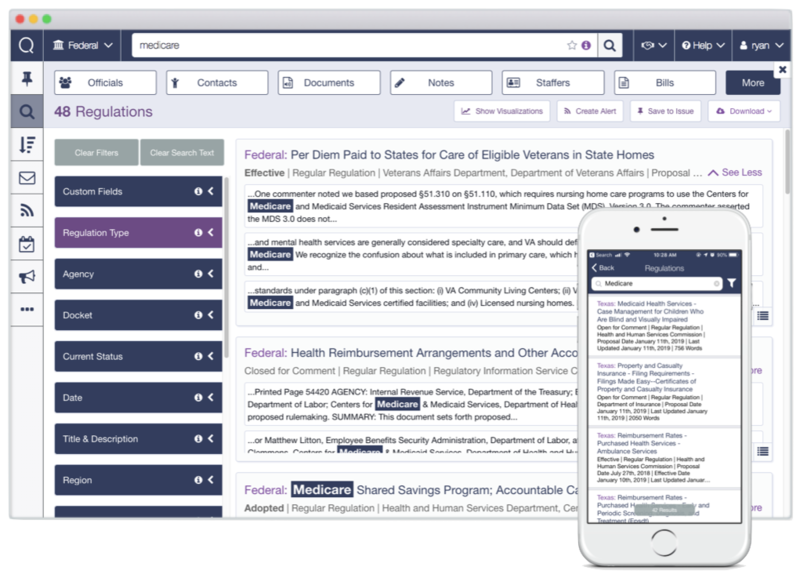 By doing your regulatory and legislative tracking in one place, your team can easily answer when your leadership team asks, “What are we doing on X issue?”. Quorum allows users to track regulations through every stage of the process. To see it in action, request a demo.